Chios is a Greek island situated in the North Aegean Sea, seven kilometres off the Turkish coast. Chios is a beautiful island of fine beaches, pretty villages and stunning scenery. 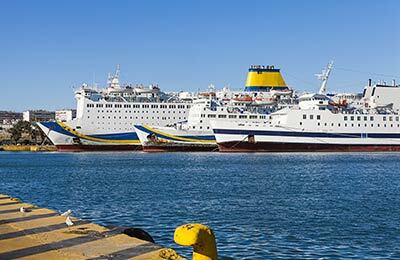 Blue Star Ferries, Hellenic Seaways and Erturk Lines provide ferries to and from Chios. Note, however, that many routes are seasonal operating fully only in the summer months. Below, you can find all the Chios ferry timetables, journey times as well as our best prices. On board Blue Star Ferries, as well as a range of cabins and seating including airline style seats, you will find an a la carte restaurant, cafe, bar, shops, internet access, ATM machine and night club. All Blue Star Ferries also now feature Goody's fast food restaurants which are Greece's equivalent of McDonalds or Burger King. In the warmer months, some of the larger ferries also provide out-door swimmng pools. On board an Erturk ferry to nearby Cesme you will find friendly and knowledgeable staff dedicated to ensure that those who travel on their ferry services receive the highest value. Because the crossing is short, there aren't a multitude of features on the ships but you will find all the basic amenities you need including a snack bar. 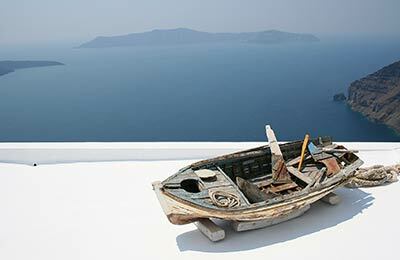 So book your Chios ferry today with AFerry. Simple and secure booking and great prices year round! Chios port is located in Chios town and is easy to find. Chios is a popular holiday destination and by booking ferries to and from Chios, you can enjoy more of Greece. There are few facilities at the port itself. However, there are shops and cafes within walking distance. Information about your ferry, if, for example, it is running late, can normally be obtained by asking for information from a member of the port police or any local travel agency where they normally have live-updates. You might also find signposted updates but this is not common in smaller islands and outside of the peak season. The port can be reached easily by road or on foot and is well sign-posted. Many hotels and rooms are located within walking distance. Chios in the North Aegean, close to Turkey, is popular with Greek tourists and less so with foreign tourists and for this reason you can get a real taste of Greek life on this island. It is the fifth largest of the Greek islands so you'll have plenty of options in terms of different beaches, hotels, and places to eat and drink. The name of the island possibly comes from the Greek word for snow: chioni, since the island's patron god Poseidon was born under snowfall. Traditionally it was a rich island due to the production of Mastic gum (which it still makes) and wine. As a consequence the architecture of the island with large stunning colourful houses reflects this rich history of trade.